This borescope is designed specifically for inspecting rifle barrels. Our patented Wide View Light Reflector gives it a much brighter image. It delivers a high definition, color image with a crisp 360 degree cylindrical view (not a straight view). Its long 40" fiber optic cable (.154" diameter) makes this borescope quicker and easier to use. 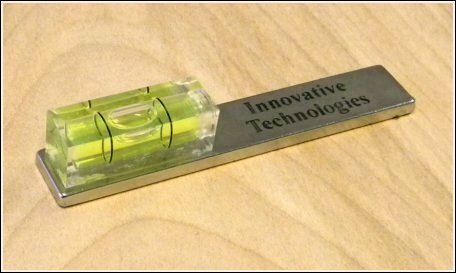 This tool allows shooters to clean their barrel "completely" which will extend the accuracy life of any rifle. Most shooters are surprised when they see a magnified view inside the barrel they "THOUGHT" was clean. Runs on (4) AA batteries. Our patented Digital Headspace Gauge shows the exact clearance (at the shoulder) that YOUR handloads will have in YOUR particular chamber. Remember, a fired case is like a perfect casting of your chamber (except for break-open actions). 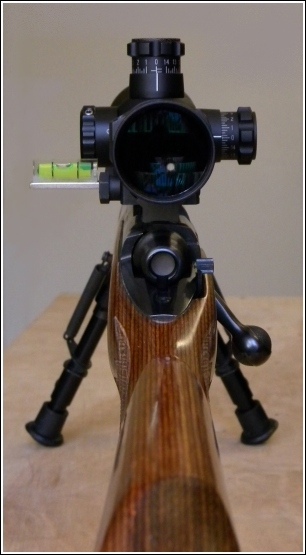 Simply calibrate this gauge to your rifle by inserting one of your fired cases, and press the "zero" button. Then insert one of your handloads, and the gauge will display your chamber clearance. This is the most accurate way to adjust your die height - without guessing. It is common to find handloaders pushing the shoulder back way too far. The shoulder of your handloads should be set back no more than -.002" for a perfect fit. Reloaders that run their shellholder into the resizing die are often pushing the shoulder up to .016" too far in some rifle chambers. Those shooters that just resize the neck also need to know "how far" to bump the shoulder for a reliable chamber fit. This gauge improves accuracy by making your handloads fit better than any factory ammo, and it also reduces case run-out. It provides longer case life by helping to reduce case stretching, and that eliminates the possibility of case head separation. 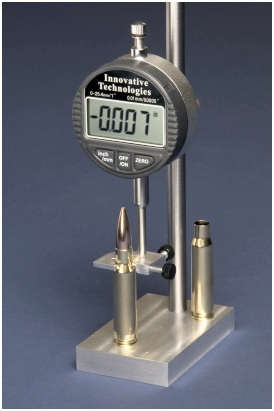 This gauge can also measure bullet "jump" to the rifling. 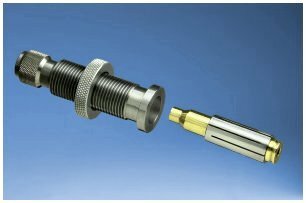 It doesn't require special tools or a collection of bushings to operate it, and the gauge provides uniform downward spring pressure to provide the most consistent readings. You can now determine the most accurate height setting for your resizing and seating dies to make perfect fitting handloads. This gauge also compares OAL and case length at the rate of about one case per second. Resizing dies are designed to make handloads fit inside the SMALLEST chamber of a particular caliber. 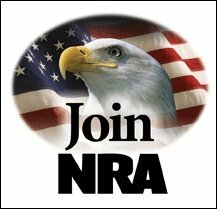 To make things worse, rifle chambers are always made to accommodate the LARGEST factory ammo made anywhere. Machinists call this "tolerance stacking". This means that your handloads usually have quite a loose fit in your chamber. The next time you put the crosshairs on a long range target, you have to ask yourself "If my handloads are small enough to fit any rifle in this caliber, and large enough to not get ripped apart when fired . . . . is that really close enough?" One of the main reasons I reload is to make the best handloads possible. Take your handloading to the next level. The Digital Headspace Gauge comes complete (as shown above). If you have questions about this popular reloading tool, just let me know. cards, or PayPal. I always try to ship orders on the same day each order is received. Belted magnum cartridges have been around for over 50 years, and most shooters that reload them are familiar with the case bulge problem that occurs "just above" the belt. This usually happens after just 2 or 3 firings - wasting perfectly good cases. Many shooters have discovered this problem when they find their handloads begin to stick in their chamber, or when they no longer chamber at all. Unlike non-belted cases, the belt prevents conventional full length dies from traveling far enough down the case. This limits the amount of resizing, and brass is plowed rearward. The brass builds up just above the belt at each reloading, and cases expand. Neck sizing dies don't bump the shoulder back or resize the tapered case wall. The best solution is to full length resize accurately, and use this collet die to reduce case width. Our patented Belted Magnum Collet Resizing Die solves this problem and has other unique features. The top of this die is a case width gauge that shows when a little "extra" case resizing is required. This resizing die is used to eliminate the case bulge above the belt, after using your full length (or) neck sizing die. Our collet die ensures that your belted magnum ammo will always chamber properly and your cases are now able to last for up to 20 firings, even when using the hottest handloads. Our resizing die uses a collet that fits over the cartridge case, until it bottoms against the belt. The case is then pressed into the sizing die. The collet allows your case to go farther into the die where it only reduces the area "just above" the belt. This ONE die and collet is universal and works on ALL of the popular belted magnum calibers including: .257 Weatherby Magnum, 6.5 Remington Magnum, .264 Winchester Magnum, .270 Weatherby Magnum, 7 x 61 Sharpe & Hart, 7mm Remington Magnum, 7mm Weatherby Magnum, 7mm STW, .300 H&H Magnum, .300 Winchester Magnum, .300 Weatherby Magnum, .308 Norma Magnum, 8mm Remington Magnum, .338 Winchester Magnum, .340 Weatherby Magnum, .350 Remington Magnum, .358 Norma Magnum, .375 H&H Magnum, .416 Remington Magnum, .458 Winchester Magnum, .458 Lott Magnum and several belted wildcat cartridges. There are no extra collets to buy when resizing different calibers. The U.S. Secret Service was one of our first customers to purchase this product. This popular collet die is now used by well over 6,000 shooters. Sometimes, the high cost of manufacturing this item requires us to build a waiting list before the next production run is back on the shelf. 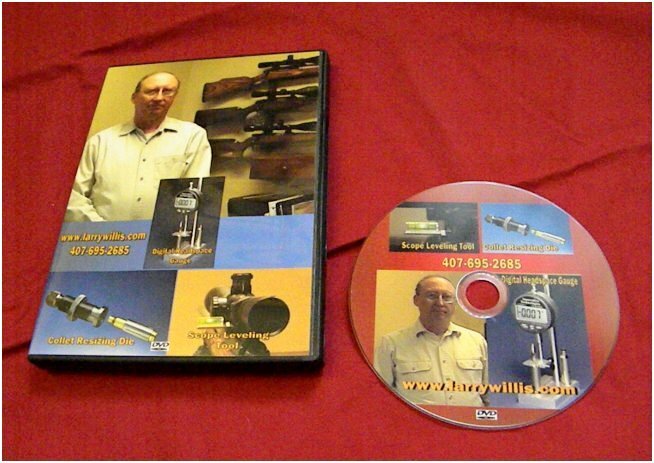 This single DVD beats my entire 40 year collection of gunsmithing books and manuals. 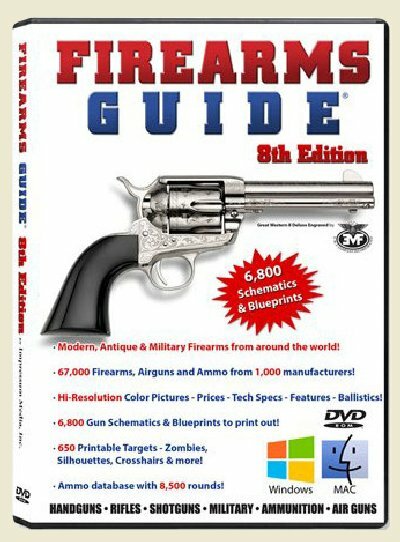 It shows thousands of detailed EXPLODED DRAWINGS of every rifle, pistol, and shotgun you can imagine. It also includes manufacturer part numbers and the correct OEM name for every part. Used by shooters amateurs and professionals. "Get all of the advantages." This video shows 20 minutes at the reloading bench using our Innovative products. It shows how measure headspace (chamber clearance) and why it's so important for ALL handloaders to get this right. It also explains how to accurately measure bullet "jump" to the rifling. This DVD has separate sections for each of our products. Watch this video, and you'll see how easy it is to improve your handloads. Handloaders should have major advantages over using factory loads, so start making the BEST handloads possible. "Sometimes the details make all the difference." I've tried several different tools to level rifle scopes, and nothing gets it done as accurately as this simple tool. This particular Magnetic Scope Level performs two functions. 1.) It helps mount your scope PERFECTLY level. 2.) It ensures that your rifle is level while taking extreme long range shots. "unexpected" windage as you raise the elevation for long range targets. This problem gets worse as your shooting distance increases. This precision level is more accurate than similar "dual level" devices, and the magnetic base on our level is strong enough to lift some rifles right off the bench. In fact, the recoil from a 300 Win. Mag. sporter won't jar it loose. This magnetic level attaches to any steel scope base that has .130" scope clearance. Position your rifle on sandbags (or use a bipod), and focus your scope on a known horizontal or vertical straight edge to use as a reference for your crosshairs. When this scope level shows your "rifle" is perfectly level, you just rotate the scope until the crosshairs are parallel to your straight edge. You can also use a hanging string (with a weight on the end) as a perfect vertical reference. Then tighten your scope rings, sight-in your rifle and you're ready to go. Another reason for getting your crosshairs perfectly level is just to "know" that they're exactly right. When I pick up a rifle and see the crosshairs are crooked . . . . it sure doesn't help my concentration. Absolute confidence in your rifle is one of the most important factors in good shooting.